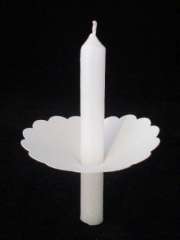 Candles by Design has developed a wax drip catcher (called a bobeche) to assist churches and organisations avoid wax spills on floors, furniture and clothing. 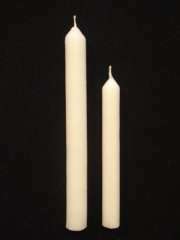 Suitable for any candle service, including Advent, Christmas, and great for Carols by Candlelight events! "Greetings again after a busy Easter season. I promised to give you feedback about the candles. The candles and bobeches worked extremely well for us, with many people commenting on how nice they looked. We noticed, too, that there was a lot less wax on the seats and floor after the Mass, which made it an easier job for the cleaners as well. So altogether we are very satisfied with our order and want to thank you once again for your prompt and friendly service."